In our hectic lives, the online world offers a great way to engage with others who are concerned about our local community, right from our home and work computers. On June 6 a Twitter chat will help stimulate conversation leading into this year's TEDxStouffville event, which is being held on June 21st at the Lebovic Centre for Performing Arts - Nineteen on the Park, in Stouffville. 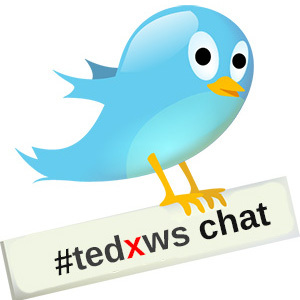 The Twitter chat, which will take place using the #tedxws hashtag, will begin to explore topics that will be at the centre of the conversation on June 21st. If you care about your local community and want to participate, all you need is a Twitter account and the ability to do a search for the #tedxws hashtag. If you are new to Twitter, Tweetdeck is a free desktop program that makes it easy to send tweets, retweets and to follow a Twitter chat conversation. Q1: What is the most important change you are seeing in your community today? Q2: One TEDxStouffville topic will look at how the current status quo promotes a sedentary lifestyle amongst youth. Are you involved in any grassroots initiatives that promote fitness as a lifelong habit? What are you doing and what impact, if any, are you seeing? What more can be done? Q3: Stouffville is the third fasted growing community in Canada. As the fabric of our community evolves, what do you believe are some of the key things that need to happen to foster a healthy community? Q4: The disconnect within our communities at the family level is one of the topics that will be presented at TEDxStouffville. Do you think our children are getting what they need from their families, friends and schools? What are your experiences and what do you think needs to change? Q5: Stouffville has a vibrant community of not-for-profits and charities, yet it seems like they sometimes operate as silos in isolation. How can we do a better job of branding Stouffville as a community that cares? This year's TEDxStouffville will bring together local citizens, business leaders and other stakeholders to shine a light on changing communities. Six exceptional speakers are lined-up to discuss diverging topics related to this theme. Topics of discussion will include social innovation, fostering a lifelong habit of being physically active and what children need as our community evolves. For more information visit http://www.tedxstouffville.com/.